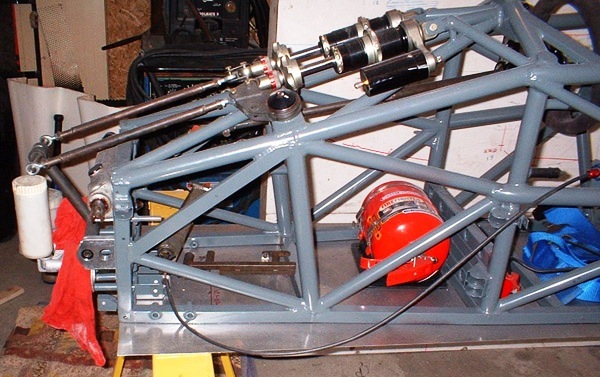 Mike Sirianni reports, "After experience with the LSR Prince Chassis, a 1995 based continental conversion, I had wanted to try a conversion of a modern Formula Continental. Tatus was considered, but lack of spares and donor cars were issues. Van Diemen was the obvious choice (some may disagree). 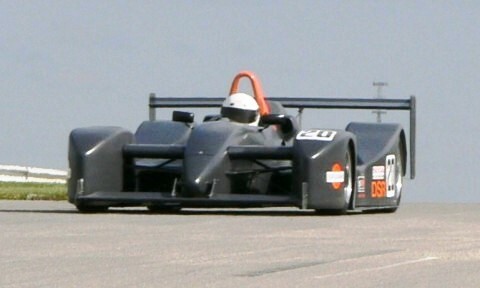 The later cars have more room for the driver and chassis rigidity was purported to be greater. The components are plentiful and easy to source. I wanted to talk to someone who reportedly had tried one, and Bob Gelles had. At the time, he'd built a very basic roller. In talking to him on one occasion, I asked if he wanted to sell the project. 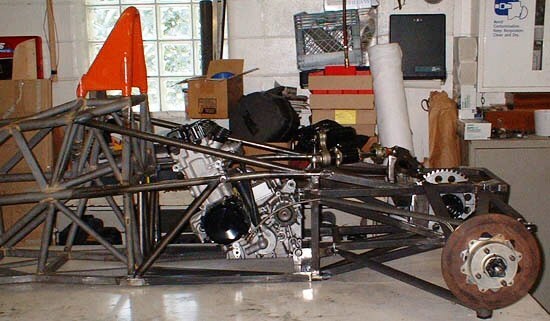 He sold it to me, and what I got was very rough and was set up to be a CSR with the donor having a Webster LD gearbox. I was committed to doing a bike engined based DSR. I believed the DSR class was healthier and I already had a good inventory of race motors. And I considered it a logical step from the earlier LSR Prince car's development. 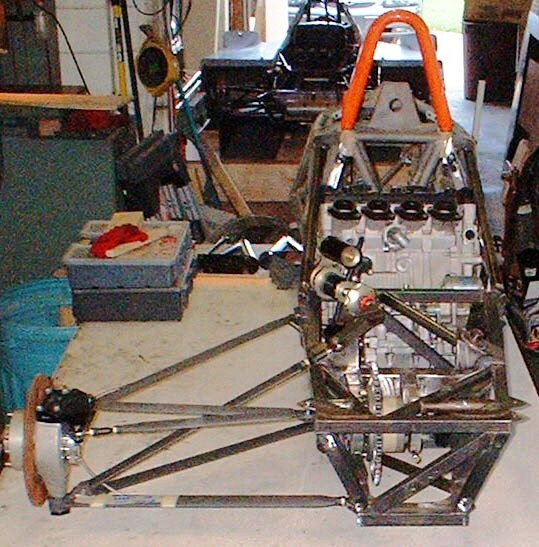 The goal all along was to duplicate the original rear geometry. I approached Mike Devins about it. We had worked on the LSR Prince together form a car development perspective and he was always committed to product improvement. He was the guy who wanted to try it. 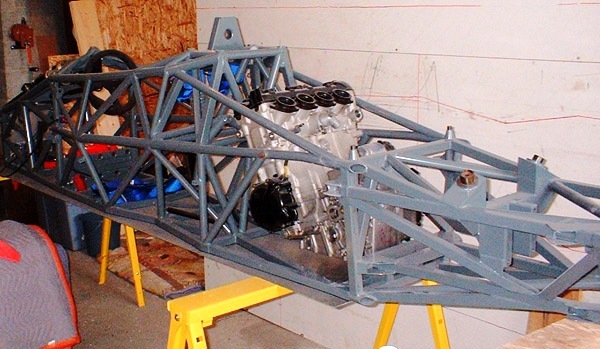 Long story short -- After a few wooden space frame mockups, the project was at last completed in October 2006. The idea of the SSR was to try and limit the frontal area as much as possible. This, after all, is perhaps the widest DSR currently being tried. Very little was retained from the Gelles donor project. Front fenders were too large for Dsr. The engine cover was nonexistent. 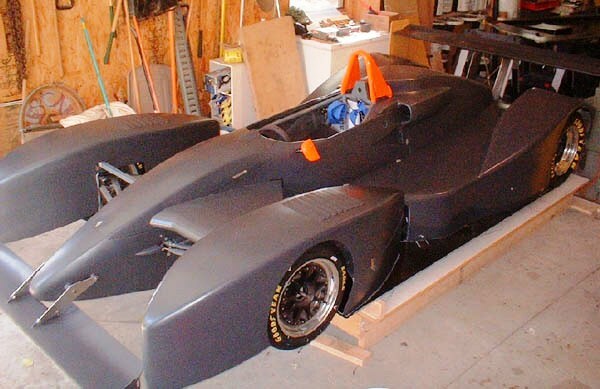 The sidepods had to be raised for cooling. The tunnels were too long for the new front fender treatment, and the list goes on. 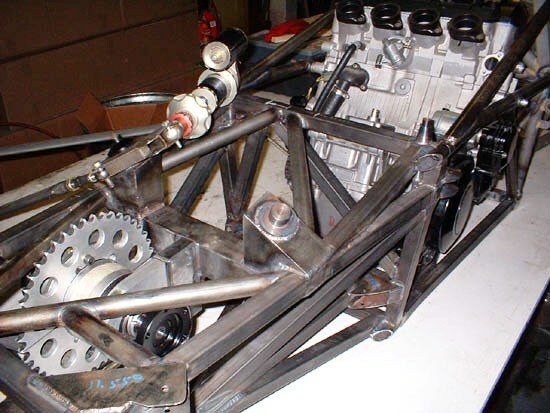 were instrumental in the front end redesign and engine cover completion. Mike Devins put his heart and soul into the build, the results speak volumes. 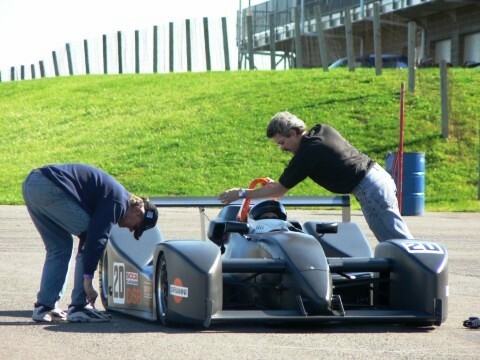 The body, which is adaptable to most center seat cars, and spaceframe conversions will be available through Mike Devins @ Hurley Racing Products."